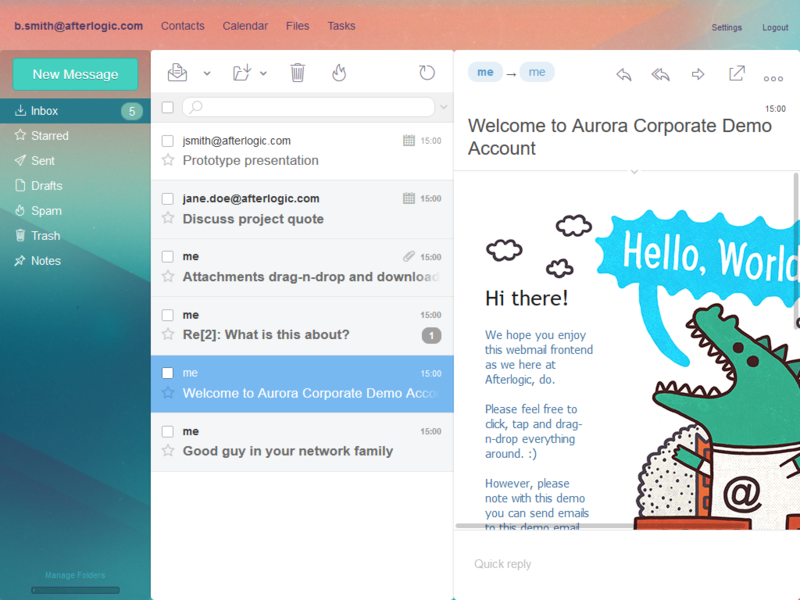 and email in a single, unified environment. 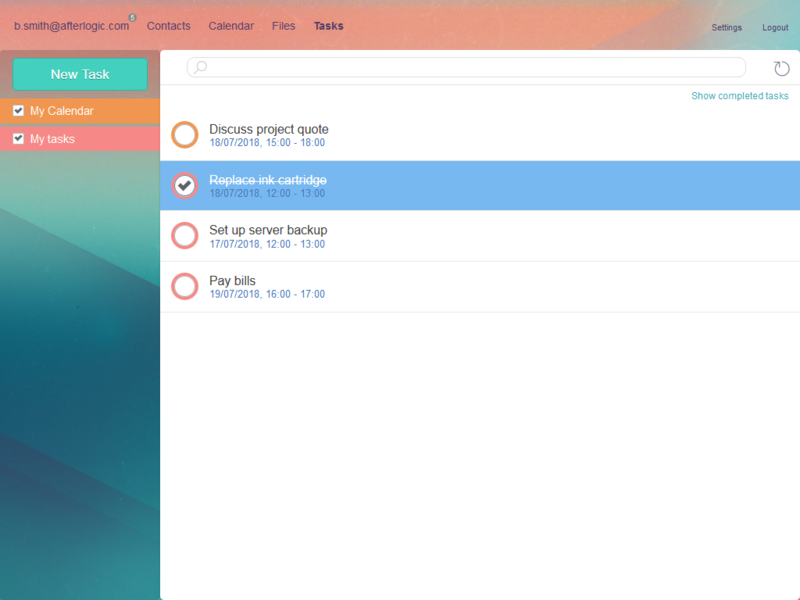 Clean and modern interface. Can work with your existing mail server or use its own for the complete solution. 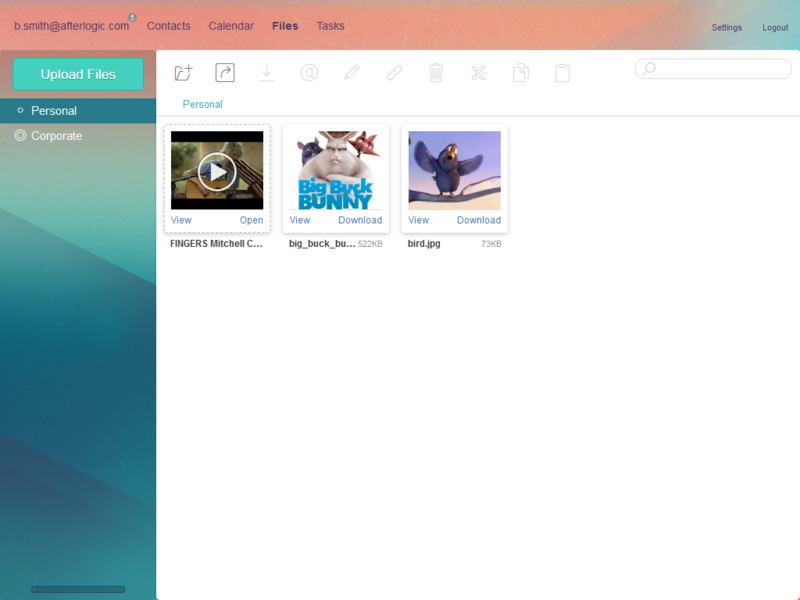 Personal, global and shared address books, with CardDAV sync. 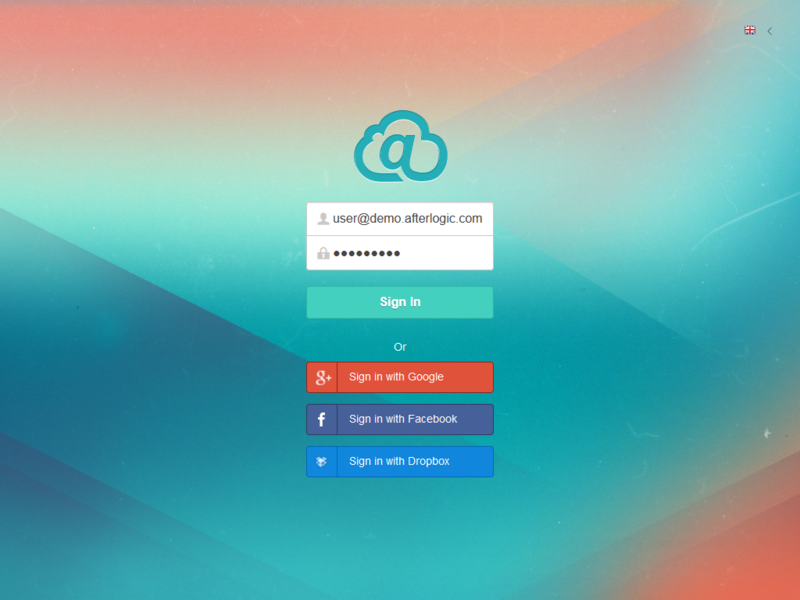 Your own cloud storage, with DAV sync. 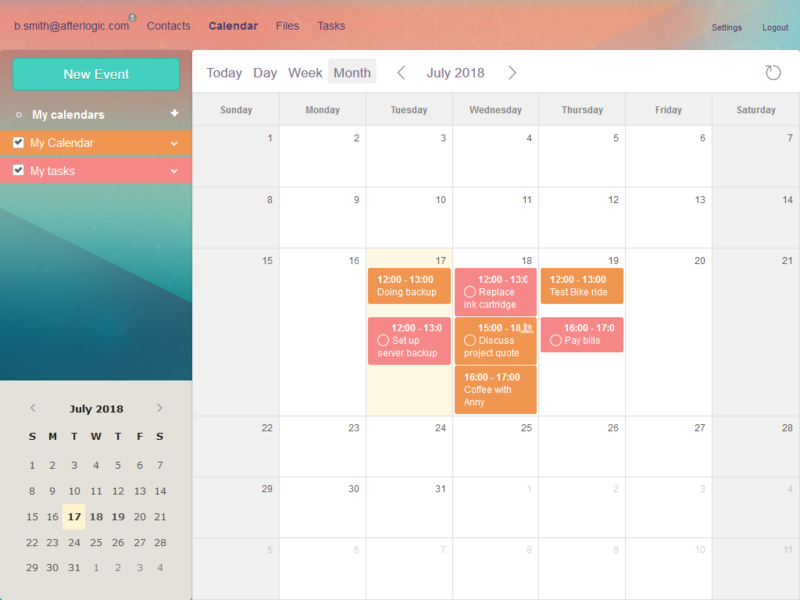 Calendars with meeting invitations, tasks, and CalDAV sync. Mobile layout for web access, iOS profiles for auto-provisioning contacts and calendars sync via CardDAV and CalDAV. AES-256 encryption of files right in the browser, OpenPGP for emails, SSL/TLS. Available as a server add-on, enables mail, contacts, and calendars sync with mobile devices and Outlook 2013/2016. Available for Outlook 2010/2013/2016, 32/64 bit. Syncs contacts and calendars between Outlook and Aurora via DAV protocol. 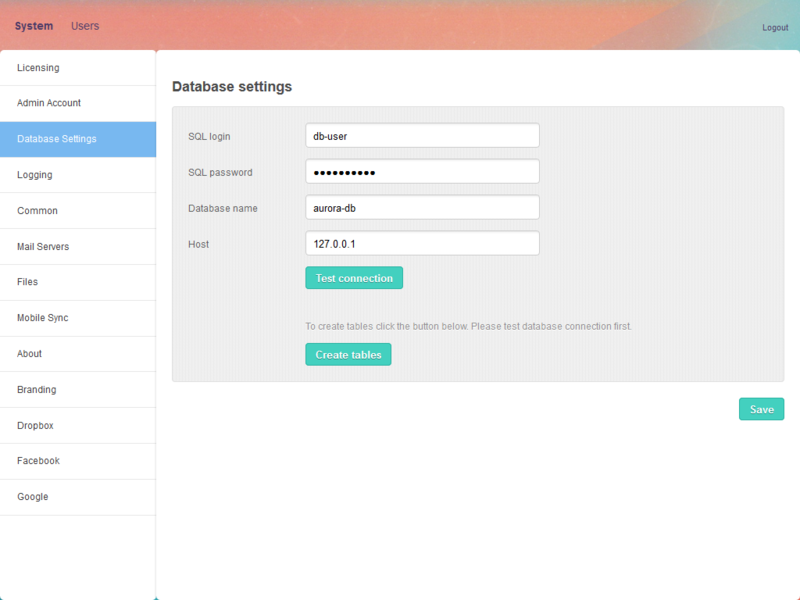 Aurora is written in PHP, supports MySQL/MariaDB, Apache/NGINX/IIS, Linux/Windows. Mail server edition comes with Exim, Dovecot, NGINX. We're always here to help you quickly resolve issues and keep things up to date. Guaranteed responses and prompt bug fixes for your peace of mind. Integration and custom development services by the core team behind the product. 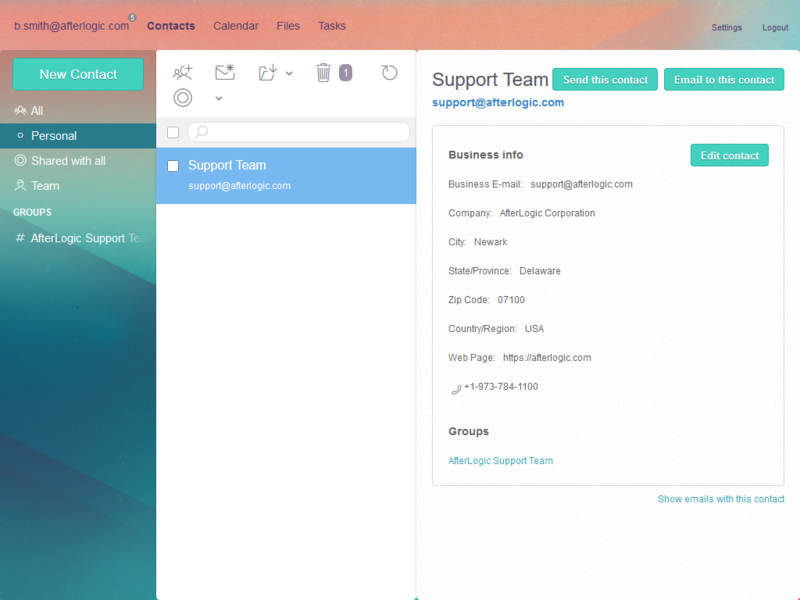 A set of developer tools lets you extend the application in many ways, including user interface adjustments, Single-Sign-On, and more. More than 30 languages, right-to-left interface support (for Hebrew and Arabic), date and time formats. 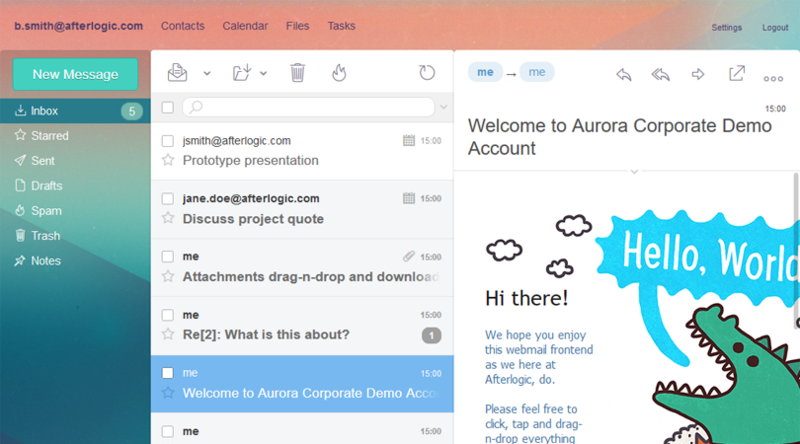 Yet minimalistic, Aurora Corporate delivers a rich set of features and comes with a number of themes. We have created perfect partnership program for you. Extend your own cloud business with top notch corporate service!